Some of you still have no idea what it is. It’s finding a way to leverage the long tail is what keeps it interesting. The long tail phenomena can be read about here. However, it is best understood by example. The mainstream music scene crams their latest releases down our throat as the must have, and they will certainly sell millions of records, cd’s let’s go with units. The long tail effect is that there will also be millions of units sold by thousands of other less popular artists combined. The tail may very well out-sell the mainstream. Online companies offering millions of titles such as Napster, iTunes and Rhapsody experience enormous success because they offer the whole tail. You can see the long tail in real estate as well. The internet traffic to sites like Zillow and Realtor.com is staggering. But the number of personal real estate websites that litter the web is awesome as well. The traffic the small guys generate as a conglomeration is assuredly huge. In fact Google says that nearly half of all its searches are unique. …being found online by your next lead doesn’t have to depend on which searches are most popular. The long tail phenomena that’s most relevant to the Tomato is how online real estate searches in your area are not always as obvious as “San Francisco real estate.” Showing up in the top 10 for such a search is not happening for the little guy. Not to worry, being found online by your next lead doesn’t have to depend on which searches are most popular. Real estate is a very broad subject and Realtors wear many different hats. Getting exposure online is as easy as writing about your industry on your website. By discussing your services and experiences on your website, you are naturally going to cover many topics as your content develops. The broader your efforts, the larger the net you have to capture leads from traffic looking for real estate answers. Getting exposure online is as easy as writing about your industry on your website. June 6th marked the launch of a new company (HitTail) that is aiming to help website owners determine what the most effective ‘long tail’ keywords are for their business. An informative and entertaining demo video can be watched here. This is a fantastic idea and I will be paying very close attention to their product and growth. The long tail “weighs” only 20% if you subscibe to Pareto’s Principle. Therefore two questions must be asked before chasing your tail: 1. how large is my market (so that 20% means something and 2. can I cover my entire niche’s subniches in a way appealing to consumers. Amazon’s success with long tail scaled economics was due, in part, to their ability to supply ALL the obscure titles of their online book niche at a low price, quickly. It is also relevant to note that Amazon made about 40% of its revenue from Affiliate sales (according to wikipedia) and I would argue that long affiliates is a better marketing strategy than strict long tail niching. Take note also of Walmart who has a limited CD selection (therefore not a long tail music seller) but made more CD sales than anyone. Once again, long affiliates —a large number of outlets. (To equate Amazon with real estate, the model would be a franchise like re/max that covers all real estate niches, or better yet, a conglomerate like NRT, that aggregates franchises (long affiiiates). This is really how you cover a tail, as well as the head. Having said the above, I still advocate long tail niching in real estate, especially if you are a specialist (you really have no choice) because 1. the real estate market is HUGE and even a little slice of that tail will keep you happy and 2. covering a piece of tail is not strictly about low prices since real estate is service oriented and not widget/commodity oriented, like books or music. Yeah, the focus is real estate, not CDs… I really believe that those who start to build their content around the niche of their industry will have far better success than trying to break into the top 10 for outrageously competitive search terms like Portland Real Estate. The benefits don’t end there… just taking the time to communicate to your online audience by writing about your experience and expertise will in itself help you build relationships with those that are reading. No content, no king. Thanks for reading. See you at the top. Got my blog on and now it’s time for the traffic jam!!! Great post Jim. The Long Tail is an amazing thing. I can write a web page (or blog post) targeting “Phoenix Real Estate” and not find my page/post in the first 10 pages of Google. Conversely, I can write a web page or blog about “Subdivision Name Real Estate” and within days (and sometimes hours) capture first page results. And I’ve found site visitors who search for more specifc, Long Tailish terms tend to be more “serious” visitors/prospects. For example, I might get a visitor in Timbukto who is wondering, “I wonder what the real estate market in Phoenix is like?” So they Google “Phoenix Real Estate”. They’ll find lots of Phoenix RE info on my site, and that’s great. But what is the likelyhood that I’ll convert Joe from Timbukto into a client? Longtail is great after spending a small fortune with adwords (which were actually aimed at longtail search). Longtail adwords are significantly less than trying to compete on the most common words in your market also. You can’t compete with the big dogs in adwords, so go longtail. That being said, developing your longtail marketing strategy also means that you become the acknowledged expert in your local market and totally dominant when combined with your other marketing efforts. Something to consider, actually a requirement if you are to have long term success is to consider all of this longtail stuff as simply an adjunct to what you should really be doing- network, talk to real people, drip campaigns, etc. Longtail and everything dealing with internet leads cannot replace BEING the realtor. But it sure can take your eye off the ball and take you out of your proven, overall game plan. What game plan you say? Well start by purchasing the Keller Williams redbook- The Millionaire Real Estate Agent. This is a blueprint for success. This is great advice for anyone who is new to blogging. 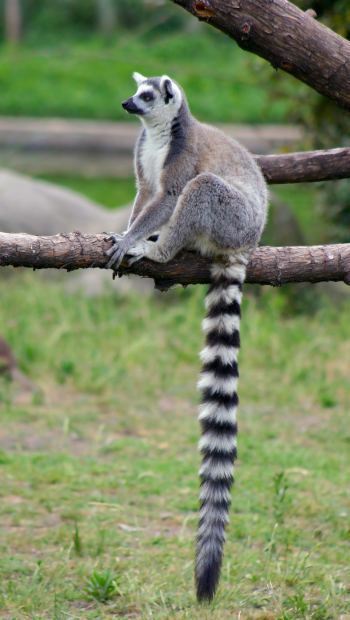 I can say for certain through tracking software that I am using, that the “long tail” is critical to gaining readership and ultimately viable clients. It amazes me to see the keyword that people are using in their searches. This is incredibly powerful stuff. Again, great points. I wish I would have discovered this website a year or two ago! A really great free resource for longtail keywords is from your stats page in your control panel. Some folk like to use Google Analytics on their sites but I find that they don’t pick up every visitor like your hosts own stats program.